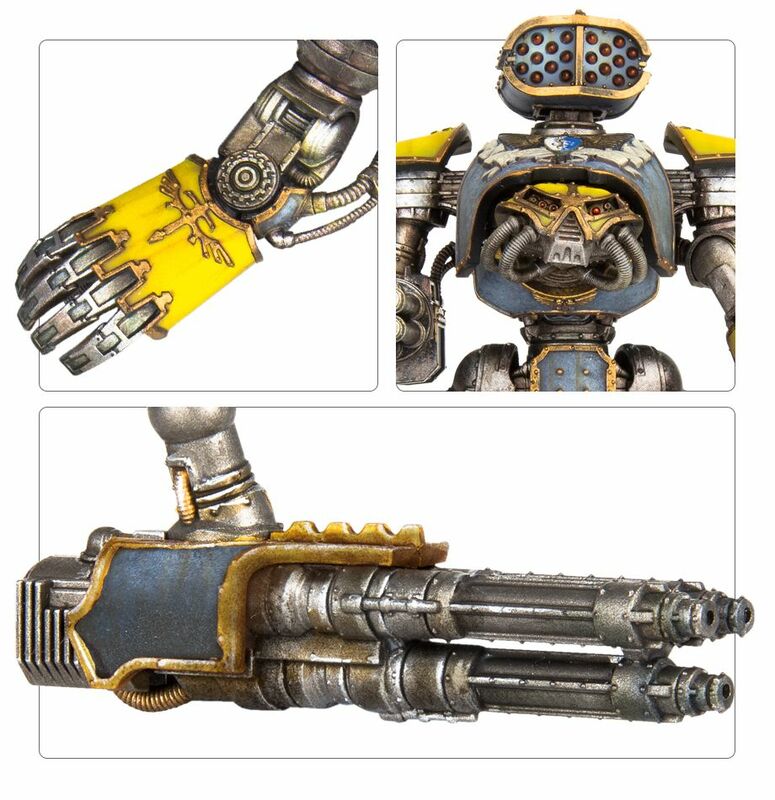 With the Reaver Titan going up for Pre-Order this weekend, it’s time to take a closer look at the history of this massive weapon of war. 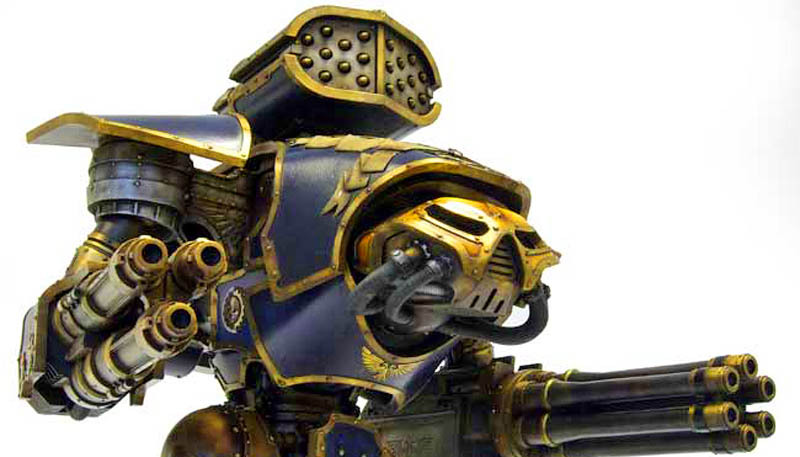 According to the Warhammer Community, “The Reaver Battle Titan formed the mainstay of the Titan Legions during the Horus Heresy.” It is a part of just about every maniple of the Adeptus Titanicus forces. During the Heresy, this was the Titan that was fighting on every front and was the backbone of the Titan Legions. By the time of the Siege of Vraks, the number of Titans in general had dropped off quite a bit. Events like the Titandeath and the Sea of Fire Campaigns bled both sides of the conflict so badly that these god-machines would never recover to the numbers they once had. 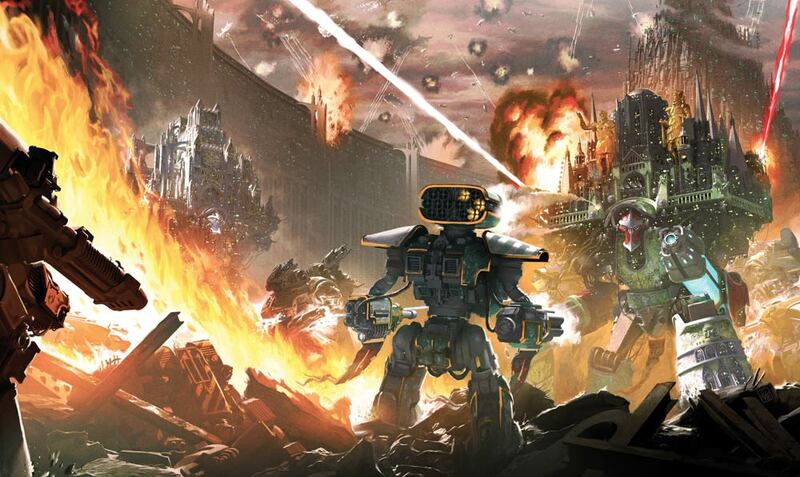 Today, we’re going to focus on the Reaver Battle Titan and what it brings to the battlefields of the Grimdark. The Reaver Battle Titan is a medium class Imperial Titan, a flexible war engine typically deployed to provide close support for conventional forces in a shock/assault role. 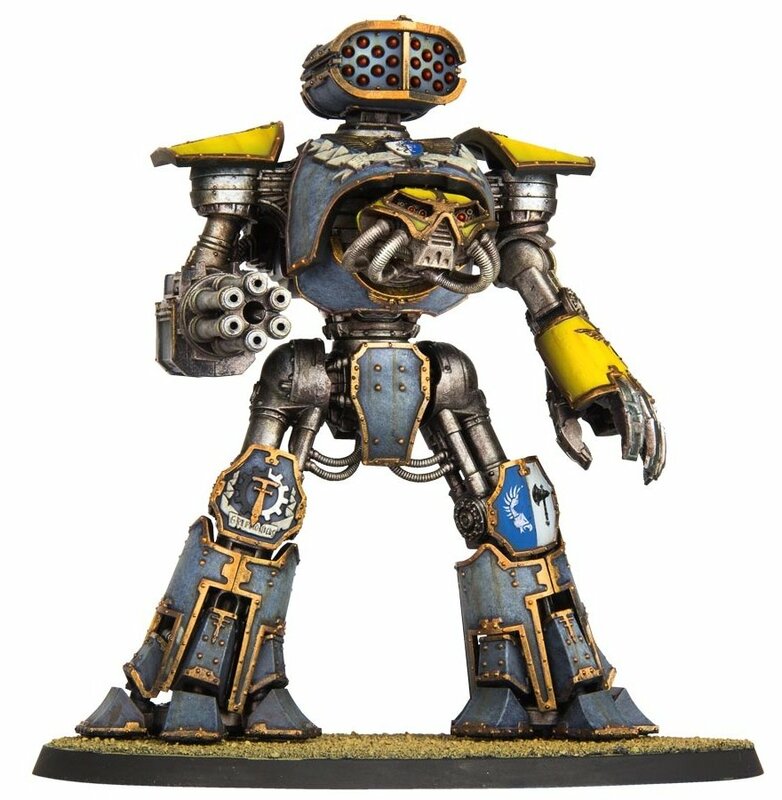 The Reaver pre-dates even the mighty Warlord Battle Titan, though the date of its original manufacture is kept hidden within the deepest sealed archives on Mars and known to a handful of Magos in the Titan Legions. 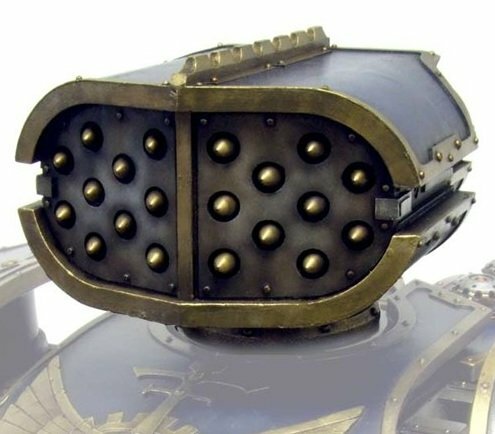 The Reaver boasts four Void Shield generators and is protected by thick, well-sloped layers of adamantium armour plating, giving it an immense level of protection. It can mount up to three weapon systems of terrible destructive power which are configured based on its mission role: those operating in support of conventional forces typically mount short-ranged, rapid-fire weapons and close-combat weapons, while operating as part of a Titan battle group one or two will be given longer-ranged firepower. Indeed such is the power of the Reaver that only another war engine of similar capability or entire tank battalions working together have a hope of defeating one in open combat. However the Reaver is not invulnerable, especially when fighting against larger Titans. In a one-on-one duel a Warlord can easily destroy a Reaver by itself, while a Plasma Destructor can drop a Reaver’s void shields in three shots, with another three scalping its head and shredding its carapace. The Reaver differs from other Titan designs in that it’s plasma reactor is placed in the rear of the carapace housing. This unique feature makes it much harder for an enemy to knock out the Titan when attacking from the front, while simultaneously making the reactor an easier target when attacking from the sides and rear. 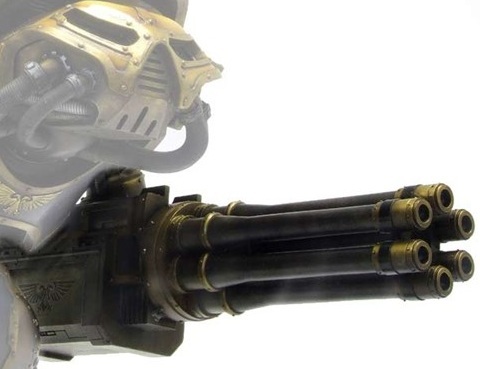 Reavers therefore are less suitable for extremely heavy fighting in cities and other built-up areas, though their speed on the open battlefield makes this problem less of an issue. Reaver crews are the same as found in other Imperial Titans, consisting of a Princeps with overall command of the machine, two Moderati who control its weapons and movements, and a Tech-Priest to manage the plasma reactor, assisted by servitors wired directly into the Reaver’s many systems. The Princeps directs from an armoured command throne, where he connects directly with the machine’s Mind Impulse Unit through neural connectors (typically cranial socket connectors and cyber-optic implants, though spinal-cortex coils or even immersive vitro-tanks are not unheard-of), allowing him to directly receive information from the logic-engine, auspex and control systems. In most cases the Princeps’ commands are carried out via the MIU interface, though a master override allows the Princeps to directly control all of the war engine’s functions, including as a last resort manual override controls in the arms of the command throne. Of the Moderati one is charged with controlling the Reaver’s primary weapons while the other pilots the war engine and monitors sensor information. The Vandal Class Titan is a Reaver variant used for fast assault missions. They are ideal for destroying enemy war engines and heavy armored vehicles with close combat weapons or short-ranged firepower. The Hun Class Titan is the most common configuration of Reaver used for a variety of roles and equipped with a multitude of Titan-class weaponry. The Goth Class Titan is a Reaver pattern configured for long-ranged firepower and is in many ways a mobile artillery piece. 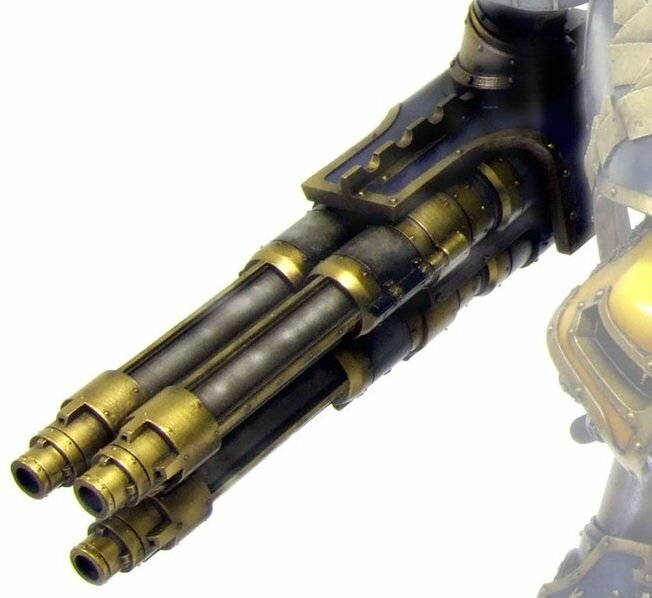 These machines are designed to obliterate enemy fortifications and are most commonly equipped with a mix of Quake Cannons, Volcano Cannons, Inferno Guns, Apocalypse Missile Launchers, and large Plasma Cannons. 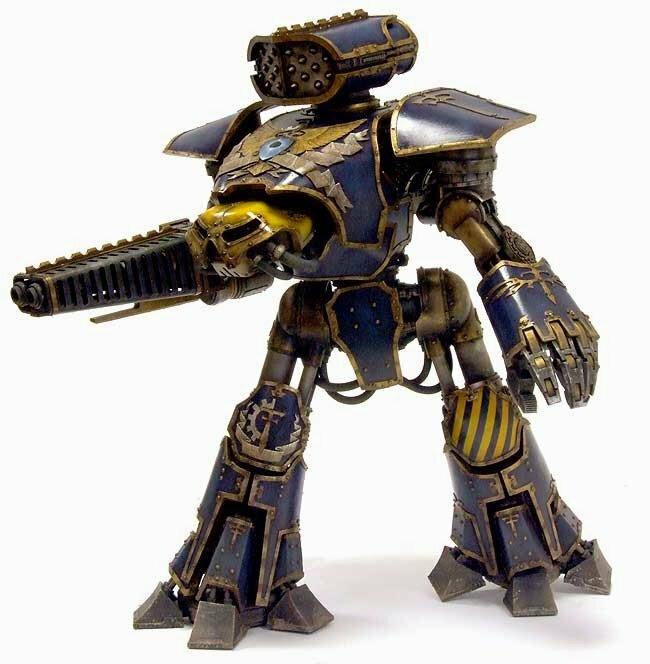 If you’d like to learn more about the Reaver Battle Titan or any of the other Titans check out the Lexicanum!